The Road Ranger Blog: Nothing to do With Vehicles. Last Wednesday was the proudest day of my life. 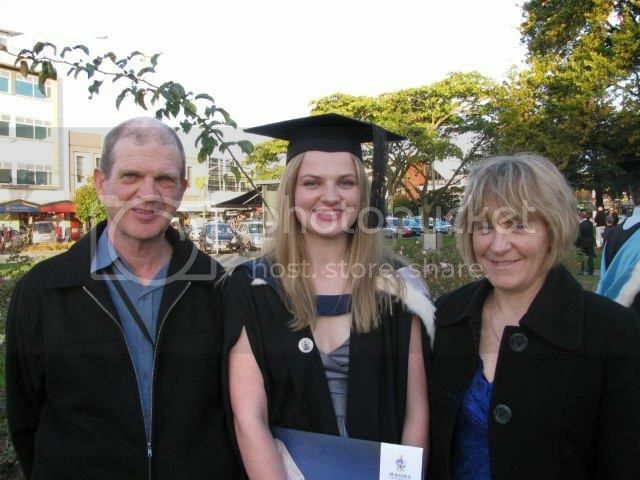 Having come from a working class background, university was not a word that featured in our vocabulary, but here my wife and I are pictured here with our daughter at her graduation day at Palmerston North having achieved her Bachelor of Nursing from Massey University. Well done em on your hard work you have made Trevor and mary very proud deservedly so!!!! !